Get free price quotes now from the top manufacturers of Modular Buildings And Offices, construction site trailers and moduler classrooms. 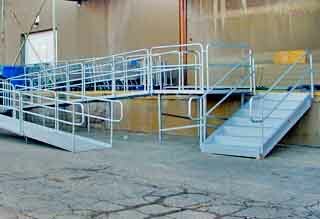 ADA and OSHA compliant ramps for accessability and function. 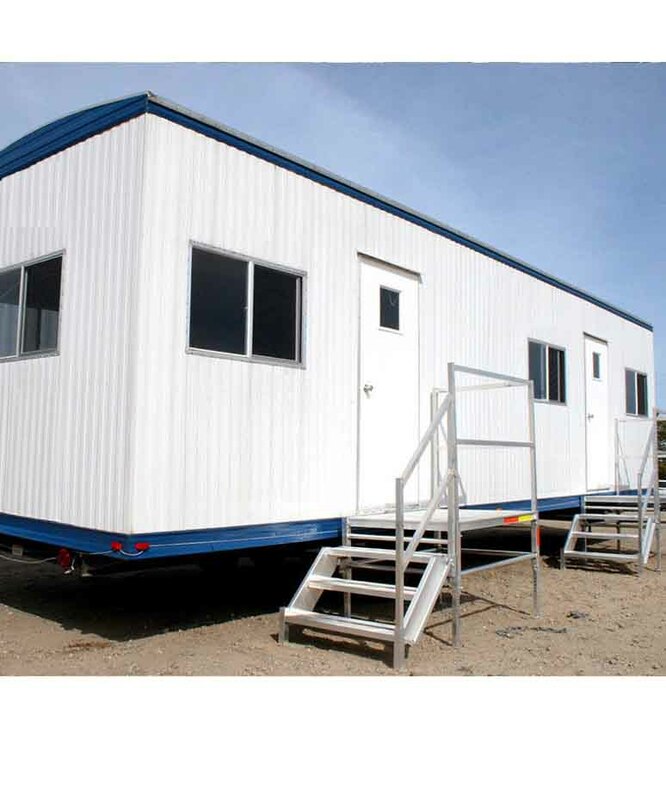 All materials, sizes and fits for modular buildings and trailers. 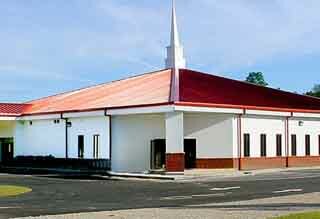 Combination items for a complete and compliant solution. 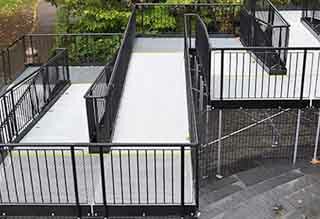 Ramps are an important feature in accessing a home, office or agricultural building. This applies not only to your employees but also those you serve. 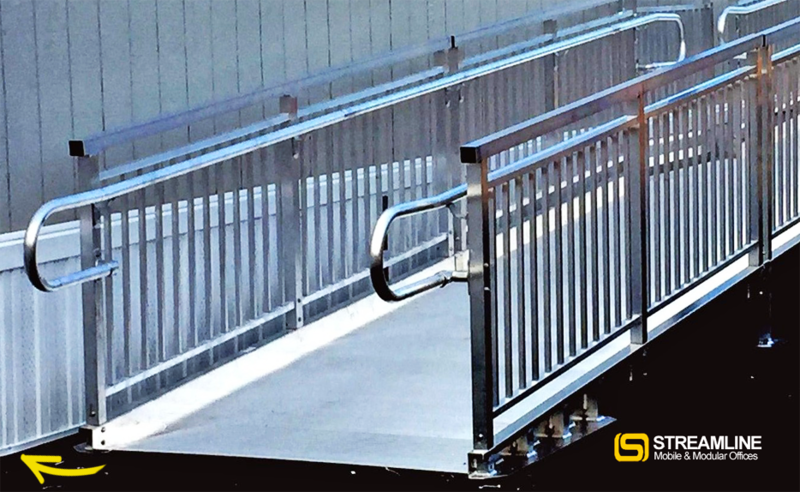 Although other slope ratios may be used for constructing your ramp, the (American with Disabilities Act) ADA-recommended and the most commonly used slope is 1:12. This means that if your porch height is 24 inches off the ground, you'll need a 24-foot ramp to safely accommodate wheelchair access.